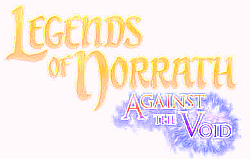 Legends of Norrath is an online-only trading card game, based on the world of Norrath from the massively multiplayer online role-playing games EverQuest and EverQuest II. Playable from within the MMOs and separately, Oathbound, the first set for Legends of Norrath features over 350 digital cards and is available in both a 55-card digital starter deck and 15-card digital booster packs. If you are new to Legends of Norrath or you just want some practice before jumping into it full-force, play a starter deck for free until you are ready to continue on to even more exciting Legend of Norrath adventures. Download the game client. Get great rewards in EverQuest and EverQuest II! With each deck of Legend of Norrath cards, you will have the chance of receiving special cards that grant you actual in-game items that can be claimed by one of your characters. Check out this list of what you can get in both EverQuest and EverQuest II! In the first story arc, players become part of a clandestine war between the forces of Order and Chaos. Jailed on the Plane of Justice, a mysterious tribunal offers you a chance for freedom and redemption by fighting against the forces of Chaos. By swearing allegiance to the cause of Order, you become Oathbound, and fight secretly to prevent Norrath from plunging into a bloody war. Select the appropriate link to learn about each area of the game. Each page is linked to others in a hierarchy, indicated by a navigation path at the top of the page. You can always click on parts of that path higher in the hierarchy, as well as follow any links to related topics on that page. Learn about the features of Legends of Norrath that are available when you are not playing an opponent. This section covers the rules themselves, including explanations of the "in game" interface. This section provides further clarification of some concepts introduced elsewhere in these rules. It also explains some new concepts. These are the people who brought you Legends of Norrath. There are currently three card packs available for Legends of Norrath. Get great rewards in EverQuest and EverQuest II! With each booster pack of Legend of Norrath cards, you will have the chance of receiving special cards that grant you actual in-game items that can be claimed by one of your characters. Check out this list of what you can get in both EverQuest and EverQuest II! In LoN, players can also fight in tournaments and gain loot cards for both games, Everquest and Everquest 2. After you buy cards, you may also choose to create your own avatar, a highly desired feature. You can pick from 6 races, human, wood elf, dark elf, dwarf, gnome, or ogre, and may pick from 1 male or 1 female from any of the listed races. Then you answer a questionnaire that determines the avatar's stats. This page last modified 2009-02-11 16:36:14.